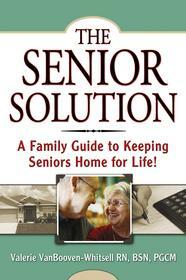 Consumers and Professionals Rave About "The Senior Solution: A Family Guide to Keeping Seniors Home for Life!" ST. LOUIS, MO--(Marketwire - October 4, 2007) - Consumers and professionals who serve the senior market are amazed and excited about a new book that shows families how to keep seniors at home for life. "The Senior Solution" has now gone into a second printing just 45 days after its initial release. Author Valerie VanBooven states, "The interest and excitement over 'The Senior Solution' shows us that this is the information every family needs. Professionals who serve the senior market are excited because finally they can show consumers how to privately pay for in-home care and other services without touching a penny of their savings, investments or current income." Families across the nation struggle with health care decisions for aging loved ones every day. Many seniors and families are faced with premature institutionalization when they are left to rely on the government (Medicaid) to pay for their long-term care needs. Today families are learning that there ARE other solutions! In an effort to help families learn about other options and programs available to almost all seniors, registered nurse and author Valerie VanBooven has released her latest book, "The Senior Solution: A Family Guide to Keeping Seniors Home For Life!," published by LTC Expert Publications, LLC. "Seniors and their family members are not aware of many other programs that may be helpful in keeping seniors in their own home. Everyone wants to 'age in place,' maintaining their independence and choice. 'The Senior Solution' is designed to point families and seniors in that direction," states Valerie. Long-term care insurance is a planning option, but often many seniors do not qualify because of poor health or feel that the premiums are unaffordable. Valerie says, "Although purchasing long-term care insurance is always the best planning solution, it's not always possible due to health issues or financial concerns." "The Senior Solution" shows seniors how to afford long-term care insurance without touching a PENNY of their savings, investments or current income. If long-term care insurance is not an option, "The Senior Solution" educates seniors about other programs like Home Equity Conversion Mortgages used to pay for private in-home care, VA Aid and Attendance Services Pension options, Personal Emergency Response Systems, and much more. "The Senior Solution" is Valerie VanBooven's second book. She released her first book -- "Aging Answers" -- in October 2003. Since then Valerie has been quoted in Time Magazine, various AP articles, and has appeared multiple times on NBC's "The Today Show" and CNNFN's "Your Money" with Ali Veshi. She has also been interviewed on hundreds of radio programs across the country. VanBooven has also designed an entire marketing kit for use by financial planners and other senior service providers (in-home care agencies, PERS providers, medical equipment providers and other senior service professionals) that assists them in educating their clients and consumers in general. The kit has been a tremendous value for professionals across the country. "The Senior Solution" is available for order now. You can find the book at Amazon.com, or at any of the websites below. The marketing kit is only available through Valerie VanBooven. For more information, visit Valerie's websites at www.theltcexpert.com and www.4seniorsathome.com. 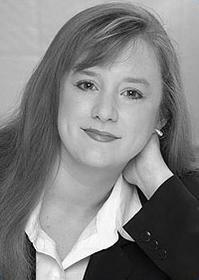 Valerie can be reached by email at valerie@theltcexpert.com.